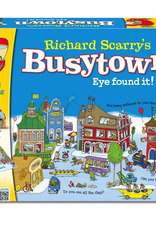 With Richard Scary's Busytown Game, players race around Busytown to find hidden objects on a 6 foot long colourful game board. 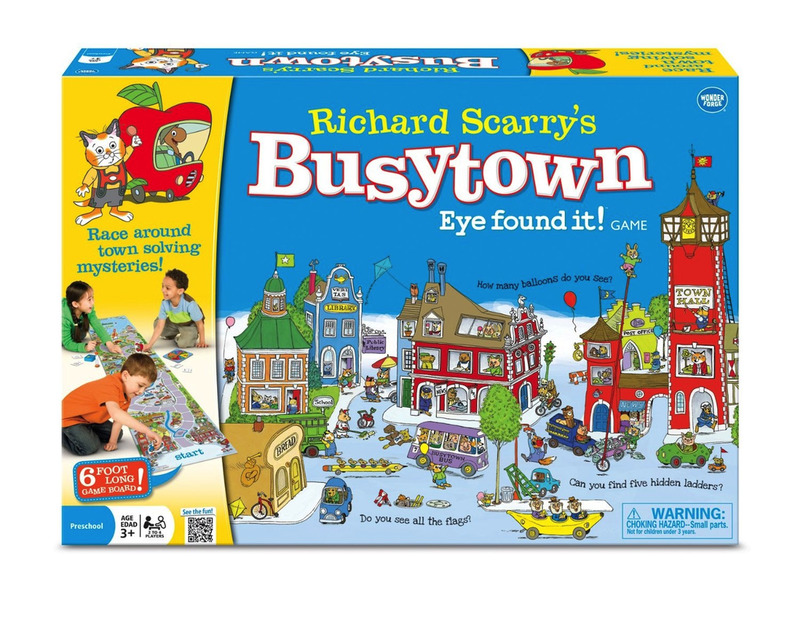 Join Huckle Cat and Lowly Worm on a fun-filled race through the bustling city, farm, airport, and harbor of Richard Scarry's Busytown. 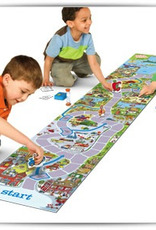 Whenever a Goldbug card appears, team up to hunt for hidden objects on the gigantic, vibrantly illustrated game board. 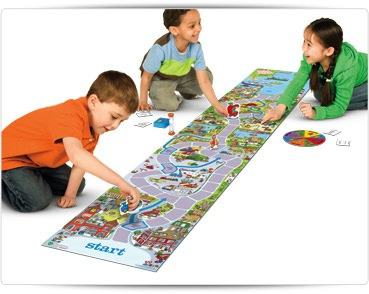 Everybody works together and gets a chance to say, "I found it!"